Use wall base molding coils in lieu of wood wall base. 4" Rubber base is more durable than wood wall base. 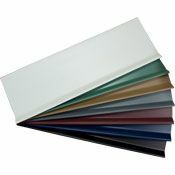 The wall base molding is offered in 36 popular colors. Our 4" rubber base will not shrink over time. Installing wall base molding coils allows you to achieve a near seamless appearance. This 4" rubber base is 1/8” thick and comes in a 120’ coil. When selecting your wall base molding you will have two profile choices. One 4" rubber base profiles in flat and perfect for use with carpeted floors. The second wall base molding profile features a toe. Use 4" rubber base with a toe for hard surface floors. Wall base molding with a toe will allow you to hide any imperfections where the flooring meets the wall as well as the gap required with floating floors. When installing 4" rubber base you will need to start with a flat surface free of any dust or debris that would impede the adhesive. Use wall base molding adhesive to adhere your 4" rubber base to the wall. For easy 4" rubber base in and our corners we have wall base molding groovers. We offer additional 4" rubber base installation tools for a fast and easy application. For additional help with wall base molding installation check out our instructional video. We encourage you to request color samples for easy color selection. In and out corners are available in full case quantity. The item would be special order and non-returnable. Please call for more information. Price can vary with color choice. Please select desired color for accurate price. Lead time is dependent on stock (typically 1-3 weeks). Please call to check availability and shipping times. Special Order/Non-Returnable and cannot be canceled once an order has been placed. Order your 4" rubber base today for unbeatable wall base protection.